This is a rundown of several practices that’ll ensure the optimal playing experience. Following this guideline should cut down on image load time, make it easier to use your own files on the tabletop, and should ensure that your files are the best quality and performance. Note: Are you a Marketplace Creator? Review our Creating Marketplace Assets wiki for image guidelines on providing the best experience for the end-user. 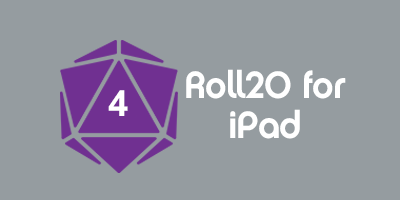 Roll20 now supports using your own music on the virtual table top. Find out how to upload and use your own files in the Jukebox documentation. ogg average Efficient storage type Slight reduction in audio quality, but likely not noticeable to most users. wav high Has been around for a long time, many assets available Not particularly efficient storage, and is a raw file type, meaning you don't leverage the gains from the last 20 years of technological advances. flac high Lossless compression - high quality audio High fidelity audio files are very large, and require longer to process. Files will be downsampled for use in the VTT. If you’re playing from a commercial adventure pack, there’s a high chance you’re working from a PDF file which is often published with the intended purpose of being printed out later by the user. In order for graphics to be readable and crisp for print, the image resolution - the DPI (Dots per inch) has to be kept rather high. The standard minimum resolution for a printed image is roughly 300 DPI. The higher the DPI, the larger the image’s file size is and the harder a processor has to work to display the image. The graphics contained within a PDF such as maps, character portraits and handouts aren’t designed for web, they’re designed for print. We recommend that they shouldn’t be dragged directly from a PDF file and into a Roll20 Game. Image resolution is meaningless to how an image displays on the screen. The deciding factor of how an image displays on screen is determined by the dimensions of the image. A 500 pixel high by 300 pixel wide image will display on screen as 500 pixels by 300 pixels regardless if it’s 75 DPI, 200 DPI, 600 DPI and so on. When you’re working with images over the internet, the higher the DPI means there’s more needless data that needs to be transferred which will slow your game down. If you want images to run smoothly in Roll20, keep image resolution low. The standard for web has been 72/75 DPI since the dawn of graphical web sites. Anywhere between the 70-150 DPI range should be adequate for your game images. JPG No No Average Smooth gradients, small file size, preferred file type in Roll20 No transparency options, quality can suffer when heavily compressed. GIF Yes No Smallest Palette swatch control, great for pixel art, animated gifs will animate on the Roll20 virtual table top. Poor quality with gradients, only 256 colors, not advised for realistic images. PNG Yes Yes Largest Lossless compression - high quality images File size inflates when using extensive alpha channel work, large files can use up a lot of system resources. Does everything except animations that a GIF can do, plus more. Ideal format for solid drawings, images with large swaths of exactly the same color. GIF Yes No Small, but Inefficient Palette swatch control, great for small or simple animations. GIF files are typically smaller than other animation types. Because they store more data per animation frame than other formats, large animations perform poorly. Poor quality with gradients, not advised for realistic animations. webm Yes Yes Small, most efficient Engineered for use on the web. Supports transparency and translucency (with 8-bit Alpha Channel). As much quality as mp4 in a much smaller size This file type is not as universal as mp4 or GIF. If you have graphics that don’t require any transparency or translucency, stick with JPG images files. For animations, the mp4 files will be more available, but converting mp4 to webm will reduce the time it takes to put files on Roll20. The GIF file type is handy if you want just a simple aliased cutout image for token objects, with or with animation. PNGs can also work for token objects or images requiring transparency, but animated PNG files are not supported. As PNGs are more flexible than GIFs, sometimes they will have a larger file size for what looks to the eye like the same image. If your software controls it, you may be able to change your image from "full color" or "rgb" to "palette" or "indexed". The latter only has a limited number (usually 256) of colors, and is the only format that GIF supports. This is why GIF files are smaller; PNG files using the same type of palette will be roughly the same size as GIF images (or, if anything a bit smaller). Most PNG files you create will be rgb, saving more data per pixel than GIF, and thus being bigger-- but also preserving more image integrity. If you need a large translucent map overlay: First, try to dial down the image resolution as low as possible and then try to uniformly scale the image dimensions to a size smaller than you actually need and enlarge it when it’s uploaded in Roll20. When a GM hands out documents to their players around a physical table, often the item is written or printed on portrait-oriented paper. On a tablet, a person can simply flip the screen whether a graphic is either Portrait or Landscape. This can’t really be done on a computer monitor. When you want to create handouts or splash screens for use in Roll20, keep in mind that the average user often is working on a widescreen monitor with fixed screen resolution (not to be confused with image resolution). You want to create and plan out handouts and splash screens that’ll fit nicely on the collective user’s screen. Instead of thinking portrait, go with landscape orientation for notes, letters, and pictures or anything else that isn’t going to be a tabletop map. Regarding screen resolution, get an idea of what your players are using. Are they working at desktop stations? Tablets? Laptops? Find a happy medium of screen resolution and work your graphic sizing around that, so no one will have to play with their zoom settings so they can view your images. Websites like w3schools.com keep yearly tallies of the average screen resolution over the years if you need a generic design guide. Here’s specific Roll20 dimensions for certain graphic elements. Token images, due to their small size, are probably best suited for PNG formats (if you want transparency) for best quality. If you’re not relying on a square or hex grid to move tokens about the tabletop, you don’t need to concern yourself about the actual dimensions of the image. If you are using a grid; however, you’ll want to make sure your image has enough transparent padding. The reason for doing this is that an image when dropped onto a gridded tabletop will warp the dimensions of the image to best sit inside a single grid unit. This process might dramatically change the proportions of your image. For instance, if you're using tokens that fill a 1 x 1, 2 x 2 or 3 x 3 unit space, you'll want to make sure that the final dimensions of the image are the same for both height and width. If you have an oblong token, you'll want to make sure that the final dimension's of either the width or height is exactly double or perhaps triple of the other. “Why is it taking Roll20 forever to zoom or pan across a map?" This is normally due to file size of any given image in a game. Check the file size of the images you’re using for your game. If any image is over a megabyte in size, we’d recommend checking its image resolution and decrease it in an image editing software package. Also, make sure you’re using the right file type to minimize file size. Only use PNGs when you need transparencies*. * Unless you are using monochrome PNGs, then file size / bandwidth performance rocks. PNG is the smallest possible file format using GIMP & 1 bit color depth. A 7000x7000 empty map is 7k as PNG, 32k as GIF, 281kb as JPG. It gets worse after adding actual data. A more practical comparison for an actual map is 92k (png), 206kb (gif), 729kb(jpg). For my AD&D 3.5 game, I plan image size around the 70x70 pixel unit square & size my maps to multiples thereof. After completing the map, I convert it to 1-bit indexed color. I create a new page where the units are image_x / 70 * image_y / 70, & drag the picture over. It flies over & I have seen no performance problems yet. Oh yeah, I am using DSL. Keep in mind that the limits of a player’s screen when you’re creating handouts. Try to make as much use of the available screen space. This normally means designing items that are wider than they are tall to best fit on a widescreen monitor. Sounds like your image you are using for your token didn't have enough padding. Make sure you add padding around your Token graphics so that they’re square or are using the appropriate dimensions to place on the grid. For example, a creature that you want to take up a 2x1 grid area, make sure one dimension of the image is padded out to be exactly double of the other. This will ensure that your image’s proportions are retained and you’ll be able to view the image as expected once on the grid. This page was last modified on 25 March 2019, at 14:29. This page has been accessed 6,221 times.